Digital transformation is emerging as a defining strategy for global as well as Indian corporates. Presently only a quarter of global enterprise have been able to reap the benefits of digital transformation. Globally, there have been reports about 25-30 billion connected devices by 2023 of which 15-20 billion will be IoT (Internet of Things) devices. We are also seeing mergence of connected IoT devices which includes connected cars, machines, meters, sensors, point-of-sale terminals, consumer electronics, wearables, drones and others. IoT is divided into short-range and wide-area segments. The short-range segment largely consists of devices connected by unlicensed radio technologies, with a typical range of up to 100 meters, such as Wi-Fi, Bluetooth and Zigbee. This category also includes devices connected over fixed-line local area networks and power line technologies. The wide-area segment consists of devices using cellular connections, as well as unlicensed low-power technologies such as Sigfox and LoRa. 3GPP Release 13 has developed three new technologies for Internet of Things (IoT) and the operators can use to address their requirements. These are: Extended Coverage GSM Internet of Things (EC-GSM-IoT), LTE for Machine-Type Communications (LTE-M) and Narrowband Internet of Things (NB-IoT). All these technologies have been standardised by 3GPP to ensure that increasingly diverse device and application types are supported by networks around the world. EC-GSM-IoT is building on GPRS/EGPRS and is competitive in the MTC market through its low device cost and global presence in four GSM frequency bands 850, 900, 1800 and 1900 MHz which support roaming across most parts of the world. EC-GSM-IoT adds improved coverage by 20 dB over EGPRS, LTE-grade security, power efficient operation and even further reduced device complexity beyond what EGPRS can offer. LTE-M, which is the abbreviation commonly used for the LTE improvements for MTC, are a series of low-cost device categories.In addition to its low complexity, it does support secure communication, ubiquitous coverage, and high system capacity. LTE-M’s ability to operate as a full-duplex system over a larger bandwidth also gives it an additional dimension with its capability to offer services of lower latency and higher throughput than EC-GSM-IoT and NB-IoT. LTE-M supports both full-duplex frequency division duplex (FDD), half-duplex FDD, and time division duplex (TDD). EC-GSM-IoT and LTE are based on existing radio access technologies, NB-IoT is based on new radio access technology. The technology can operate over a system bandwidth as low as 200 kHz, in stand-alone mode, within an LTE carrier, or, within the guard-band of an LTE carrier. It also supports a minimum channel bandwidth of only 3.75 kHz thereby providing spectrum flexibility and system capacity which in combination with qualities such as energy efficient operation, ultra-low device complexity and ubiquities coverage makes NB-IoT a very competitive technology. Presently, 12 mobile operators have launched 15 commercial Mobile IoT services, including AT&T, Telstra, Verizon (LTE-M), as well as China Mobile, China Telecom, China Unicom, Deutsche Telekom, KT, LG Uplus, M1, Turkcell and Vodafone (NB-IoT). According to industry reports, the mobile operators are expected to benefit an estimated $1.8 trillion Internet of Things (IoT) revenue opportunity by 2026. The new findings highlight that consumer demand for connected home ($441 billion), consumer electronics ($376 billion) and connected car technologies ($273 billion) represent the biggest revenue opportunities for IoT. However, other areas such as connected energy look set to reach $128 billion by 2026 as a result of local governments and consumers seeking smarter ways to manage utilities. Similarly, revenues from connected cities are forecast to reach $78 billion by 2026. Mobile operators are enhancing their licensed cellular networks with NB-IoT and LTE-M technologies which utilise globally agreed 3GPP standards to scale the IoT. Mobile IoT networks are expected to have 862 million active connections by 2022 or 56 per cent of all LPWA connections. 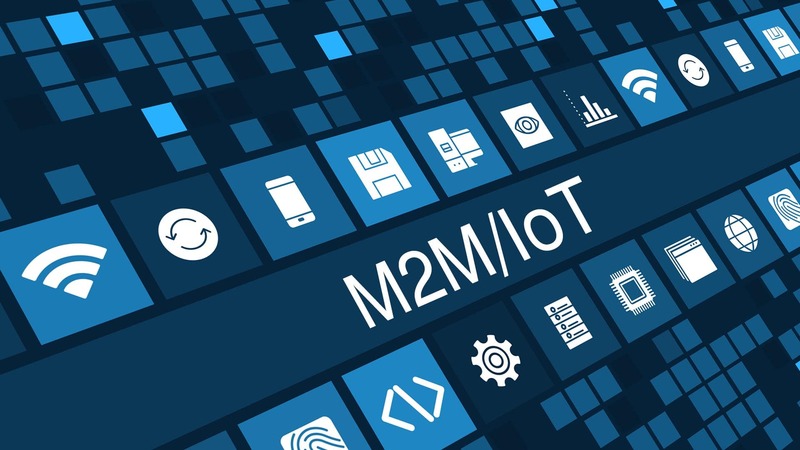 M2M/IoT has potential to bring substantial social and economic benefits to governments, citizens, end-users and businesses through increase in productivity and competitiveness, improvements in service delivery, optimal use of scarce resources as well as creation of new jobs thus bring the change in life of billions by using trillions of devices. The mobile IoT networks are designed to support mass-market IoT applications across a wide variety of use cases, such as industrial asset tracking, safety monitoring, water and gas metering, smart cities, smart grids, intelligent transport system, vehicle tracking system, smart grid, city parking, vending machines and city lighting, telemedicine and remote patient monitoring and personal location monitoring requiring solutions that are low cost, use low data rates, require long battery lives and can operate in remote locations. The Mobile Association supports M2M/IoT for boosting efficiency and productivity both on the industrial and consumer front. It is with this objective that TMA aims to create a steering committee comprising of experienced professionals from the industry. Focus on design and manufacturing of M2M/IoT products and solutions in India. Enabling IoT startups for enabling designing and manufacturing of products. Encouraging generation of IPR and patents in M2M/IoT. Teeing up with vertical industry associations to deploy industry and consumer applications. Please click here for expressing interest to join as a key member of the M2M/IoT steering committee.